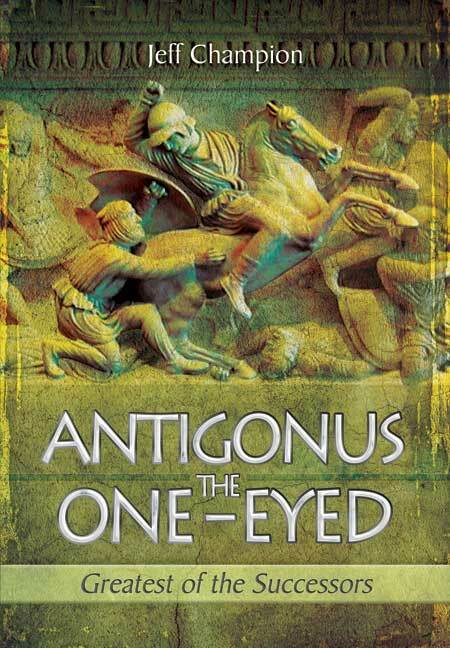 You'll be £19.99 closer to your next £10.00 credit when you purchase Antigonus The One-Eyed. What's this? Order within the next 4 hours, 52 minutes to get your order processed the next working day! Plutarch described Antigonus the One-Eyed (382-301 BC) as 'the oldest and greatest of Alexander's successors,' Antigonus loyally served both Philip II and Alexander the Great as they converted his native Macedonia into an empire stretching from India to Greece. After Alexander's death, Antigonus, then governor of the obscure province of Phrygia, seemed one of the least likely of his commanders to seize the dead king's inheritance. Yet within eight years of the king's passing, through a combination of military skill and political shrewdness, he had conquered the Asian portion of the empire. His success caused those who controlled the European and Egyptian parts of the empire to unite against him. For another fourteen years he would wage war against a coalition of the other Successors, Ptolemy, Lysimachus, Seleucus and Cassander. In 301 he would meet defeat and death in the Battle of Ipsus. The ancient writers saw Antigonus' life as a cautionary tale about the dangers of hubris and vaulting ambition. Despite his apparent defeat, his descendants would continue to rule as kings and create a dynasty that would rule Macedonia for over a century. Jeff Champion narrates the career of this titanic figure with the focus squarely on the military aspects. As featured on A Wargamers needful Things Blog. The publisher is building a fine catalogue of titles covering aspects of the Ancient World, and particularly of the lesser known leaders and conflicts. This new book forms part of that catalogue and tells the exciting story of one of those competing to succeed Alexander the Great. ... Recommended. Jeff Champion is a Customs and Excise officer in Australia. He has written numerous articles on Hellenistic warfare for specialist journals such as Slingshot, the journal of the Society of Ancients. His first book, Pyrrhus of Epirus, was published by Pen & Sword in 2009 and received very good reviews.